Armed Forces Day is annually observed in Slovenia on May 15. This is a professional holiday of people serving in the armed forces. The current Slovenian Armed Forces were formed in 1991, when Slovenia gained independence from Yugoslavia, by fusion of Territorial Defense (existed since 1968) and the Manoeuvre Structures of National Protection. But they were formally established only in 1993 during the reorganization of the Slovenia Territorial Defense. Till 2003 the Slovenian Armed Forces relied only on men eligible to mandatory military service receiving 6-7 month of training. In 2013 the conscription was abolished by the Slovenian Government, and the army was fully equipped with professional soldiers, serving full-time, contract reserve soldiers, who serve only up to 30 days per year, and volunteers, who receive basic training. 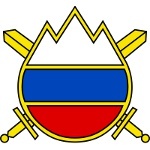 The President of Slovenia is the Commander-in-Chief of the Slovenian Armed Forces. The operational command is in the domain of the Chief of the General Staff.